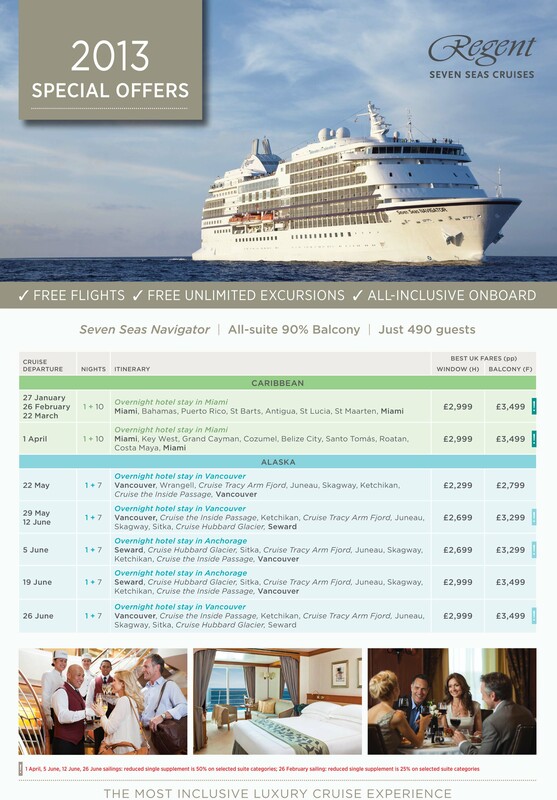 Regent Seven Seas Cruises have some very special price reductions on selected 2013 sailings. 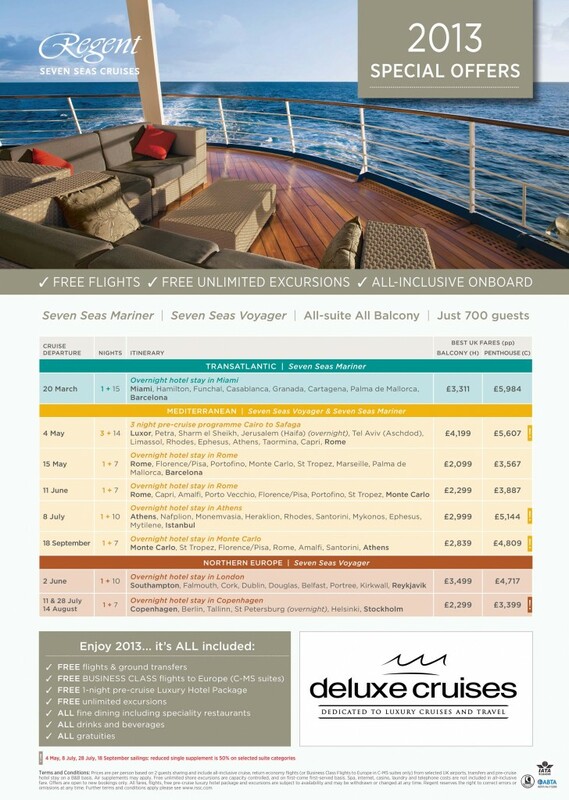 Please hurry, these voyages have limited availability. Please click on images to see full offers.